Sri Lanka Law College was established as the Ceylon Law College under the Council of Legal Education (itself established in 1873) in 1874 in order to impart a formal legal education to those who wished to be lawyers in Ceylon. Situated at Hultsdorf Street in Colombo. The Sri Lanka Law College functions under the Council of Legal Education(under the Council of Legal Education Ordinance No.2 of 1900) to administer legal education to person who desire to be enrolled in the Bar of Sri Lanka. The Law College is the only Institution which offers a complete course of study leading to examinations for those desiring to qualify for admission to the profession. As at today, while other Institutions (e.g. University of Colombo, the Open University of Sri Lanka and University of Jaffna) offer academic courses leading to a degree or other academic qualification relating to law, persons become eligible to practice law, only after admission to the profession as provided for in the Rules of the Council of Legal Education. Thus, the Law College is the only gateway to the legal profession in Sri Lanka. Members of the profession are called Attorneys-at-Law. In order to practice law in Sri Lanka a lawyer must be admitted and enrolled as an Attorney-at-Law of the Supreme Court of Sri Lanka. To receive Admission to the bar a law student must complete law exams held by the Sri Lanka Law College. The course of study for law students at Sri Lanka Law College does not grant any degree or certification but at completion of studies, examination and a period of apprenticeship qualify for admission to the profession. 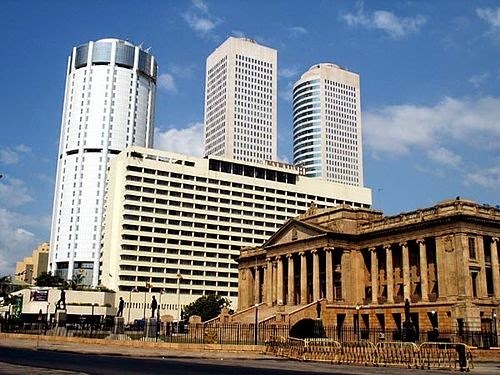 Graduates holding LLB degrees from University of Colombo, the Open University of Sri Lanka or any other university will be required to complete several examinations and the period of apprenticeship to become an Attorney-at-Law by receiving Admission to the bar. The Law College carries out several post attorney courses including an LLM from the University of Wales and post attorney diploma's in intellectual property law and international trade law. Since the late 1980s admission has been from a very competitive entrance exam due to the high number of applicants. However young Members of Parliament without higher educational qualifications receive direct admission without setting for the entrance exam. 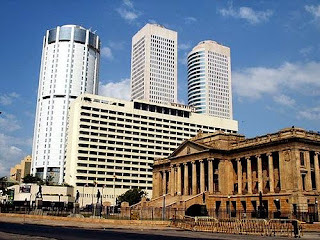 The History of training for the legal profession in Sri Lanka goes as far back as 1833, the year in which the Supreme Court was empowered by section 17 of the Charter of 1833, to admit and enroll as Advocates and Proctors, persons of good repute and of competent knowledge and ability upon examination by one or more of the judges of the Supreme Court. This was done in order to provide sufficient legal practitioners to work in the judicial system established by the British Colonial administration. There were no formal classes held to impart legal education at that time. The then system required that a period of apprenticeship be served under a practicing lawyer and the taking of certain examinations conducted by the Judges of the Supreme Court to satisfy the Judges that the apprentice had acquired sufficient legal knowledge to practise law. Consequently, the Law College was established to administer a formal course of study in preparation of persons for admission to the profession. From the inception and up to 1973 the profession consisted of two branches â" Advocates and Proctors. By the Administration of Justice Law No. 44 of 1973 which came into operation in January 1974 the two branches of the profession were fused and its members were called Attorneys-at-Law. President Junius Richard Jayewardene - First executive President of Sri Lanka. President Mahinda Rajapaksa - Former (5th) Executive President of Sri Lanka and Former Prime Minister of Sri Lanka. Dr. W. D. Rodrigo - Principal, Sri Lanka Law College.